Pitman Training Centre Maynooth offers courses in Maynooth for people to get the skills they need for the careers they want. Whether you’re interested in secretarial, Microsoft Office, keyboard skills, book-keeping and accounts, IT or any of our other courses, our training is designed to help both boost your confidence and enhance your skills. 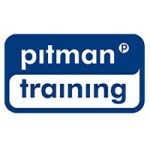 Pitman Training does not incorporate any rigid schedules for their courses. We provide flexible courses that work around your schedule while lending a helping hand to help guide you in the right direction. Last year, more than 55,000 courses were delivered through our network of 80 centres worldwide. And every course at Pitman Training Centre Maynooth is designed to provide the knowledge and experience that employers are looking for. The Accounting Technician diploma combines the excellence of Pitman Training’s reputation and practical learning with industry leading knowledge from AAT, the professional body for accountancy with the ultimate aim of gaining an AAT Certificate in Accounting qualification. A comprehensive Accounts training programme, this Diploma will give you skills across a range of areas including Bookkeeping, Sage, Payroll and more. At the end of this programme you’ll be well versed in the practical processes and procedures required to maintain a businesses financial records. This Level 3 accounting diploma combines the excellence of Pitman Training’s reputation and practical learning with industry leading qualifications from AAT, the professional body for accountancy. A comprehensive training programme, suitable for beginners, designed to give you book-keeping and accounting knowledge. This diploma will also prepare you to gain a Level 2 and 3 AAT Qualification. The Accounting Technician diploma combines the excellence of Pitman Training’s reputation and practical learning with industry leading knowledge from AAT, the professional body for accountancy. Pitman Training Ireland is delighted to bring you this comprehensive Payroll training course, which provides a thorough introduction to Payroll Principles in the Manual Section, and in the Computerised Section you create real life payroll scenarios using Sage Micropay software. This is a great award programme if you wish to learn manual and computerised payroll as well as Micrsoft Excel (either beginners or expert level). It’s practical training so you get hands-on experience ready to put into action in the workplace. This is an online course, suitable for those new to finance, that will provide you with an overview of business finance and accounting to enable you to understand and translate key financial information. Sage 50 Accounts will equip you with the skills you need to get a good job in an accounts department, or to work for yourself by offering accounting administration services to local firms. The full suite comprises Dreamweaver CC, Photoshop CC, Illustrator CC, InDesign CC, Flash CC and Premiere Pro CC. This award lets you choose any three of these programmes and tailor the training to your requirements. Dreamweaver is a common program used in the Web Design industry. Through the study of this course you will build your knowledge and practical experience in the CC version of this renowned program. This Flash course is designed to bring you up to the industry standard required for creating Flash animation or movies. Through this course you’ll be familiar with Flash to the level of the Adobe Certified Associate qualification. Learning skills in essential Adobe packages such as InDesign, Photoshop and Illustrator, you’ll learn practical, transferable skills that can help you start your career in Graphic Design. To work as a graphic designer, there are many industry standard packages that you’ll need to master and Illustrator is one of the most commonly used software programmes. If you want to embark on a career as a graphic designer or art director, InDesign is a publishing program you’ll need to learn how to master. This course teaches the Creative Cloud version. If you’re working towards a career as a Web Designer, then our Photoshop CC course will give you a great foundation and allow you to fully utilise the features of this highly versatile Adobe image and photo editing software. This course covers all aspects of Premiere Pro, including: Learn and understand the three phases of video production; Pre-production / Planning, Production, Editing / Post-Production. An online course designed to help you with your job hunt. Over four simple learning modules you’ll cover everything from identifying your ideal job through creating a CV to tracking down job opportunities and vital interview techniques. People with strong bookkeeping skills are always in demand. This course is designed to give you an advantage over others with less experience, teaching you double-entry bookkeeping. This course is the second module designed to further your bookkeeping studies using the double entry system so you can keep accurate bookkeeping records. This third bookkeeping module covers many areas including using the journal, and year end accounts which include the profit and loss account and balance sheet. Pitman Training’s Bookkeeping Diploma with AAT qualification is suitable for anyone keen to develop bookkeeping and spreadsheets skills for an accounting role containing 5 core courses and the option to tailor the diploma more to your requirements with 2 additional elective courses. This diploma is a classic bookkeeping training programme that can result in a solid, industry recognised AAT qualification. Invaluable for anyone responsible for accounts or setting pricing within a business, this short course is something we’re sure you’ll get true value from, in terms of real pound signs! The Business Award has been created for people who need to understand the legal structures and financial mechanics of business. Text processing, whether it’s part of secretarial training or another discipline, is an integral part of business document production. This course consists of four simple but comprehensive lessons ensuring you cover every aspect of the speciality. The Business Startup diploma offers an excellent opportunity to enhance vital, professional skills development for any prospective new business owner. If you have or are thinking about setting up your own business, this course will provide you with an essential grounding in the basics of business structure and law. The Management Diploma is one of a range of diplomas developed for the sole purpose of equipping newly appointed managers and team leaders with the essential skills they’ll need to manage a team. This diploma is designed to teach you the fundamental skills you will need to turn you into a highly valued and well-paid office manager who can confidently juggle different tasks. For a business, nothing is more important than its finances. This course will provide you with a good understanding of business accounts – essential knowledge if you run a small business. This e-learning course is different to most communication courses in that it focuses on the way that communications and information are managed within an organisation rather than personal communication techniques. This course considers key communication areas in depth to help you become more confident in the workplace as well as more effective. The Advanced IT Support Technician Diploma could be your route to a job as a network or system administrator. It’s intended for anyone already in an IT role who has a responsibility for network maintenance and management. The online Cloud Essentials course will teach you essential knowledge about Cloud computing from a technical and business perspective, giving you a great foundation of Cloud Computing knowledge. The CompTIA Cloud+ course is designed for those that already have experience in the IT industry and who now wish to work in a Cloud Computing environment and need technical understanding of cloud infrastructure and environment. This diploma will help you learn how to install, repair, upgrade and maintain PCs and operating systems. A great choice if you’re looking for a career as in IT support. If you already possess a good basic level of IT skills, this diploma can help you progress to the next level. It focusses on how to ensure an IT network is built, managed and maintained effectively. If you’re looking to start your career and are interested in learning how to manage and maintain IT servers, this is a great training programme. It could lead to a rewarding career in IT server support. Google+ for Business is an online course that takes the mystery out of one of the most under-utilised social media platforms. From setting up your Google+ profile, joining circles, sharing documents and publishing articles no stone is left unturned. This course is designed to bring you up to speed with using LinkedIn in a business environment. It guides you through how to get the most out of the platform, helping you to capitalise on the millions of contacts within arm’s reach. If you’re looking to maximise your reach and network whilst searching for a new role, this course will give you valuable advice and guidance on making sure you’re using LinkedIn to its fullest. This is a short online course that starts to take the mystery out of Search Engine Optimisation (SEO) so you can understand how you can use it to your advantage. This is the professionally-written route to gaining your ECDL (European Computer Driving Licence) qualification. The course is split into different modules that focus on subjects such as Microsoft Excel, Word, PowerPoint and IT fundamentals. All the modules are designed to give you the skills you need to fit your future career plans. The Pitman Training Communication for IT Specialists course is designed to help you effectively engage with your audience specifically geared around IT related businesses. Communication is a key, must-have skill in today’s employment market. This short online course will help prove to employers that you’re able to communicate confidently and effectively online to different audiences. This course focuses on information flows within organisations and using data effectively. If you have management responsibilities and/or a role that includes knowledge management or internal and external communications, then this course will help you harness information effectively. This course helps you get under the skin of commonly used medical terminology across a wide range of disciplines. You’ll also have the opportunity to achieve the highly prestigious Pitman Training certificate in Medical Terminology which is widely recognised by many hospitals, clinics and surgeries throughout Ireland. This course is for anyone wanting to understand their strengths and weaknesses and create some clear and achievable career goals. You’ll gain insights into how individuals respond and behave, carry out a personal skills audit and produce a personal development plan. Unlike many other health and safety training courses this is a flexible study course so you have the freedom to study whenever suits you. The interactive e-learning system makes this an extremely simple and useful health and safety course. This is a fully accredited course which will enable you to learn all about the processes of GP and Healthcare practice management, using the latest software version. This HR administrator training will give you a broad range of skills, including understanding the principles of HR and advanced IT skills. HR Essentials is an entry-level HR training course. Through a series of self-paced lessons you’ll learn essential knowledge on area such as recruiting new staff, employment contracts, salary processing and maternity rights. CompTIA A+ provides the knowledge and skills necessary for a career in PC support. This course is designed to help you learn the skills required to gain an internationally recognised and endorsed IT accreditation. A flexible diploma with seven core courses and the flexibility of choosing two additional elective courses that suit your requirements, the Pitman Training IT Office Administrator Diploma is your route to a job in IT as an office administrator in the tech sector. This course is designed to give those embarking on a career in the IT industry a basic understanding of the concept of networking. If you’re working towards a career as an IT security specialist working with Microsoft Windows servers and network operating systems, the MTA Security Fundamentals course from Pitman Training is the perfect choice. This entry level training course is designed to help you gain a good solid understanding of what you’ll need to take the first step towards a career in the IT industry. This course is designed for those new to software development. It will provide you with an insightful introduction to the basics of software programming and lay out the foundation for you to advance your IT technology training and career further. The Network+ course will give you all the knowledge and skills you need to get a job as a network or system administrator. You will also gain necessary skills needed to gain Network + certification. This diploma will help you gain a key skillset most office staff are required to possess. You’ll study key Microsoft Office courses (Word,Excel, Outlook and PowerPoint), Effective Business Communication and touch-typing. The course is designed to give you the knowledge that you need to go on and pass the relevant ICND1 (Cisco Interconnecting Network Devices Part 1) examination, reference 100-105. Gaining this certification will mean you become a Cisco Certified Entry Networking Technician. Routing and Switching Fundamentals Part 2 ICND – Interconnecting Cisco Networking Devices is designed to get you ready to take the Cisco ICND 200-105 exam, which if successful, will mean you hold a full CCNA Routing and Switching CCNA (Cisco Certified Network Associate) Certification. This course will help you learn how to install, repair, upgrade, configure, optimise and troubleshoot on PCs and operating systems. These courses meet the requirements to pass 100-105 ICND1® and 200-105 ICND2®. This course will help you progress your IT and network administration knowledge and help you understand systems security. Successful completion of this course means you would be well placed to go on and gain the CompTIA Security+ qualification. The Pitman Training Software Developer Diploma contains 5 core courses and 3 elective courses and is an exciting addition to our course range and is your entry route to a job as a programmer or developer in the growing IT sector. If you want to work as a computer network specialist, IT Technician, network or systems administrator having proven IT skills, such as the MCSA certification, is essential. The Windows Server Administrator course will give you the knowledge required to be able to learn how to deploy, manage and maintain servers. This training course will arm you with all the skills and knowledge necessary to design and implement a Windows Server 2012 Infrastructure. This course will help consolidate your knowledge of implementing, managing and maintaining a Windows server. This course will provide you with the technical knowledge required to install and configure Windows Server into any business environment, helping you to advance in your IT career. This course is designed for anyone who is already familiar with Windows Server 2008 and is now looking to learn how to implement, manage and maintain a Windows Server 2012 environment. This highly engaging course will teach you all of the basics and how to use and interpret Java programming language. The Pitman Java Course also covers all the requirements to pass the Oracle Java Associate exam: 1Z0-850. This online training course will help you improve key English language areas: Reading, Listening, Writing and Speaking. The Pitman English Diploma is an innovative way to develop your English language skills whilst also gaining some key skills in business communication. This course is broken down into four engaging lessons and is suitable for beginners. You’ll cover an initial introduction to Civil Litigation and then move on to more detailed aspects of the specialism. This particular Legal Secretarial course will help you gain valuable knowledge of the specialist field of Irish Company Law to be able to confidently work as a Legal Secretary within a legal firm. This course will help you gain valuable, practical knowledge of the specialist field of Conveyancing Law in Ireland. Gaining specialist secretarial skills such through our training can to be able to confidently work as a Legal Secretary within a legal firm. This Legal Secretary course focusses on Criminal Law and contains four lessons which cover topics such as the working and structure of a criminal law department, statements of the accused and preparing information and more. It is a self-paced course that will take around 7 hours to complete. Learn about the role and tasks involved in working as a Legal Secretary in the Family Law department of a legal firm. Through self-paced lessons you’ll cover an introduction to family law and basic divorce procedures. This Legal Secretary course focusses on the legal specialism of Wills and Probate. Through four self-paced lessons you’ll cover topics including the procedures for will-making, codicils, power of attorney and deed of revocation, obtaining grant of probate and documentation regarding the distribution of an estate. Our Legal Secretarial Diploma is designed to give you the specialist knowledge and understanding that is required to work as a secretary within the legal profession or the legal department of a large firm. If you are new to management, looking for promotion or to broaden your opportunities, this course will give you key insights into successful leadership and how to make the most of your own leadership attributes. This Diploma has been developed to give you the skills you need to work in a specialist marketing or PR agency, in-house for a company with its own marketing department or take on marketing and PR responsibilities. Over four lessons you’ll cover topics such as understanding what a marketing plan is, how to carry out appropriate research, how websites are designed to market a company, effective advertising and the four P’s of marketing products. This e-learning course will help you understand the different elements of the marketing mix as well as the key marketing principles of product, price, place and promotion. This course complements our ‘Marketing Mix’ course and offers an overview of this important discipline, as well as detail on core principles. This will help you become confident in understanding the real function and nature of marketing. This journalism course gives you an overview of a journalist’s life; the perfect introduction for moving to journalism training. This short online course walks you through the technical aspects you need to know to create professional business videos and also help to understand how this fits into the wider marketing mix. This diploma is for anyone wanting to work as a Virtual Assistant (VA). You will gain excellent skills to help you provide a good service but also skills required to be able to run and market your own business. An understanding of how to utilise Microsoft Access to its best is a highly worthwhile skill to have at your command. This is a popular database application is widely used across many employment sectors. The Microsoft Office Specialist Certification is renowned globally. This diploma can help you get top-level Microsoft Office skills in the key packages such as Word, Excel and PowerPoint. This award offers the opportunity to study three core Microsoft Office programmes – Word, Excel and PowerPoint. You can study either the 2010 or 2013 version, depending on your requirements. Gain a good business standard level of knowledge in key Microsoft Office programmes – Word, Excel, Outlook, Access and PowerPoint. You can even opt to take your Word and Excel knowledge to an expert level if required. Train in all the key Microsoft Office packages – Word, Excel, Outlook, Access and PowerPoint. Then, take your knowledge even further with the addition of two elective courses of your choice. This flexible study Outlook course takes you through everything you need to use this popular email system as a work tool, from navigation and views through contacts and appointments, to tasks and folders. Our PowerPoint training course will help you get to grips with this comprehensive presentation software. Flexible to study, you can choose the version of Microsoft Office you wish to study on; either 2013 or 2010. This course is designed to introduce you to the new features of Microsoft Project 2013 so that you can be confident in setting up, running and managing a project utilising this programme. Over five lessons, we’ll give you all the skills you need to use the Microsoft Publisher programme in the workplace. Mail merge is a key part of Microsoft Word training. Learn how to streamline your mailouts with this key component of Microsoft Word. This training course in Microsoft Word will propel your Word skills forward to an advanced level. Over several lessons, you’ll become confident in a range of Word’s more sophisticated features. Minute Taking Skills has been created to bring your minute taking and note taking skills into the 21st Century, to ensure you’re up to date with the latest technology and best practice guidelines. Taking clear and accurate minutes is a core task for any office admin, secretarial or PA job. This course will teach you all of the skills and techniques you need to take the stress out of minute taking. Vital for anyone who would like to be involved in organising events, the training within this Diploma brings together all the elements you need to produce memorable, stress-free, successful events. Pitman specialises in offering world-class secretarial training and this diploma will provide you with a high-level, well-rounded administrative skillset that will impress any potential employer. A comprehensive Legal Secretary Diploma, this programme is designed to give you the specialist knowledge and understanding that is required to work as a secretary within the legal profession or the legal department of a large firm. A shorter version of the main diploma, this award will give you key Legal Secretary skills brought to you in conjunction with CILEx (the Chartered Institute of Legal Executives). This diploma will arm you with the key skills required to work either as a Medical Receptionist or Medical Administrator. You also have the opportunity to gain a reputable industry qualification. Our extremely thorough Medical Audio Transcription training course covers the transcription and simple medical terminology you might come across in an administration role in medical organisations such as hospitals, surgeries and clinics. This award contains three courses focussed on helping you gain reputable medical administrator know-how. You’ll study Medical Word Processing, Medical Audio Transcription and Medical Terminology. Medical offices require a lot of admin. Get to grips with the finer workings of Word and you can create professional looking documents and reports quickly and easily. This is a fast, specialist course of 2-3 hours that will teach you how to touch-type using the numeric keypad, essential if you regularly input figures into a computer as part of your role. A really flexible diploma that is designed to help you gain work-ready office skills. It can be tailored to your specific requirements as you can choose four core courses from a list. This diploma will give you a great grounding in essential secretarial skills. The training is hands-on and practical, so you can be confident of being able to apply your new skills straightaway in the workplace. If you’re thinking of becoming a Virtual Assistant, our VA Essentials course will help give you a rounded overview of what is involved in running your own business as a Virtual Assistant. One of our stand-out diplomas offering world-class Executive PA training, this programme has been designed to give you the broad range of skills required to help you stand out and get the job. Learn some tricks of the trade and really get to grips with event project management to ensure your events are always ones people are talking about for all the right reasons. In this PRINCE2® Foundation course you’ll start by looking at principles of organising and starting up a project, You’ll work through initiating a project, assessing risk, monitoring progress, managing change right through to closing a project. This is a great course to solidify and expand your existing skills. It follows the Prince2® standards and methodology and teaches you how to become an expert Project Manager who can create, manage and complete a project. This diploma has been created to help you learn all the skills required to effectively plan, progress and complete a project. You’ll cover topics that are aligned to renowned the Prince2 methodology. Split into engaging parts, this course takes you through the full life cycle of a project in terms of defining what it is, planning every aspect, implementation, completion and evaluation of a project. This diploma is designed to give you skills required to work effectively as a Medical Receptionist. You’ll gain top-class administration skills and study courses specifically aimed at those wanting to work in the medical industry. People can underestimate the skills required to work as a receptionist. Often juggling numerous tasks at once; maintaining calm and control at all times is essential. This diploma will give you the skills employers want! This is an online sales training course. It contains eight modules covering subjects such as the laws and ethics of selling, using market information, preparing and delivering a sales presentation to handling objections and negotiating. Our Sales and Marketing Diploma has been created to provide you with the essential skills needed to start your career in a smaller business, or undertake work in a customer facing capacity that demands an understanding of sales techniques. An innovative Pitman Training Diploma that will give you an excellent understanding of the approach to marketing for prospects, as well as customer sales training to ensure the effective handling of leads and enquiries, you’ll also study social media for business to give you a range of skills. Learn how to use facebook to help promote and market your company. Looking at how businesses can maximise their social media presence we look at the whole spectrum of opportunities that this social media platform offers a business. The Instagram course will help you learn more about the image sharing platform and how it can help with business marketing. This Pinterest course will give you a great understanding on how to best utilise this visual, image-sharing platform from the point of view of a business. We have a range of different social media courses, all of which can be studied online. In this award, you can choose any 4 from the range to allow you to build your business social media knowledge. This diploma covers how best to use all key social media platforms such as twitter, facebook and LinkedIn from a businesses perspective. You’ll look at strategy, effective communication and marketing essentials aswell to give you a rounded skillset. Social media is a crucial business tool, and powerful method of communication. This course will help you formulate the right strategy for your business to effectively market to your target audience. This is a short online course that takes you through the basics of how to get started on this popular social media platform enabling you to use effectively for a number of different purposes. This course focuses on how to create and develop a successful team. From getting the most out of existing team members, recruiting new ones, what makes a successful team, team development, and ways of communicating with a team. This course is for people wanting to gain an understanding and grounding in using the internet, online safety and broader digital skills such as digital photography, social networking, digital media and much more. Time management training increases your productivity and efficiency – and this is the perfect time management course for anyone who wants to get more done in less time. The Motivation and Goal Setting short course uses proven methods to help you learn how to set yourself goals and learn how to manage motivation levels, both for yourself and team members. This online training programme looks at key areas of where you can increase your productivity – in communications, being organised, time management and more. If you’re interested in a career in web design, this course will help you learn how to work with the CSS (Cascading Style Sheets) language. This common language gives you more control over how your web pages look and appear. HTML5 teaches all of the newest syntax and basic principles behind the latest features of HTML5. Our expert explains how HTML5 tags and attributes are used to format content and add multimedia to your web pages. If you want to learn HTML code to allow you to create your own websites, either for yourself or for work, this is a great course to start with. Want to understand how to design and build a business website? This award will give you three key courses to study; WordPress for Business, SEO and Adobe Flash, Illustrator or Photoshop. This course stages by exploring and using other people’s blogs to gain exposure, to creating and managing your own blog, producing and distributing posts through social media channels, and building a network of fellow bloggers. This typing course will improve typing speed and keep your accuracy up to scratch too – so you’ll be more efficient and productive. If you have completed our Teeline Fast course and want to increase your speed, or are looking to hone your speed skills, then this course is for you. Our SpeedWriting course is a new way to learn the BakerWrite™ SpeedWriting system in just six hours. It will help you accurately record the spoken word, to speeds over 40 wpm. This course will take you from novice to a Pitman Teeline shorthand speed of 40 words per minute. Beginning with the basics we’ll lead you gently into shorthand Teeline style step-by-step. For those needing high proficiency at touch-typing and keyboard skills. The course lasts up to 40 hours and includes the alpha-numeric keys and high-end learning materials. With our typaz speed course we’ll increase your work-rate and help you learn to touch-type at up to 40-60 words a minute; what a difference that will make to your productivity and daily work!